Tommy Kute grew up in a white-painted brick Audubon Park house and spent years biking and running through Louisville’s architecturally rich neighborhoods. Creatively encouraged at an early age, Tommy first drew a set of house plans at age nine and continues to do so today. 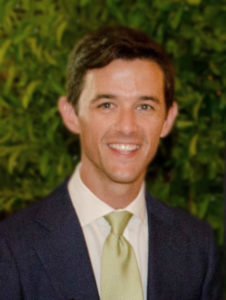 After graduation from The University of Tennessee, Tommy worked for Hubbuch & Company (where the legendary Jay Spectre began his career), Dungan Nequette Architects, and Todd Klein, Inc. In 2010 he launched his own business Thomas Kute, Ltd. to practice residential architecture & design -- including additions, historic renovations, and estate master planning. In 2017, Tommy began providing personal assistant services to existing clients and their seasonal houses to ensure that property management, extraordinary deliveries, complicated installations, meticulous repairs, and site access were maintained to the highest standard. Ambitious for exciting change, Tommy and his family relocated to New Orleans in 2018 to achieve new professional goals and immerse themselves in their long-favored American city. With an inherent love of authentic American architecture, Tommy encourages clients to establish a house of timeless roots, designed with gracious, grounded restraint for the practical lives of those who live there. In the best circumstance, a house should be built by skilled craftspeople with honest, genuine natural materials. Tommy endeavors to lead clients to realistic, relevant design goals that increase the value of their property, but – most importantly – provide the house where memories are made and better lives are lived. Tommy Kute lives in a corner grocery store built in 1880 in the heart of New Orleans with his wife, Blakely Kute, and their two daughters.